Attorney McShane is a trial attorney who specializes in using forensic science in defending citizens amongst us who have been accused of a crime by the Government. He is nationally known and well regarded for being a skilled and fierce litigator, but is also well known for his strong understanding and in-depth knowledge in all forms of forensic science. He earned the American Chemical Society-Chemistry and the Law Division (ACS-CHAL) designation as Forensic Lawyer Scientist (The first attorney in the United States to be designated as such). He has earned Board Certification both in DUI Defense Law by the National College for DUI Defense (NCDD) (the first and only Pennsylvania Lawyer to do so and also was the youngest person in the United States ever to be so certified) and as a Criminal Trial Advocate by the National Board of Trial Advocacy, a Pennsylvania Supreme Court Approved Agency. He has also earned certification in Forensic Sobriety Assessment, the first attorney to do so in the nation. He is a Sustaining Member, and was the State Delegate National Coordinator with the NCDD. He is the 2012 NCDD Dean’s Award recipient. He received the 2012 Pennsylvania Association for Drunk Driving Defense Attorneys (PADDDA) Outstanding Achievement Award. He is a charter member of DUI Defense Lawyers Association (DUIDLA). He was the Founding Treasurer of the Board of Trustees for the DUI Defense Lawyers Association Justice Foundation (DUIDLAJF). 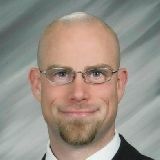 He was named to the faculty of the Indiana University Center for Studies of Law in Action Borkenstein Drug Course in 2014 and remains on faculty today. He has been accepted as a non-retained expert witness in federal court (the Middle District of Pennsylvania) as an expert in DUI investigation and defense as well as in the Standardized Field Sobriety Tests and chemical testing. How does a GC-MS Machine Know that There’s a Drug in the Blood? Abstract: EPA, GLP, and USP vs. Forensic Science: Where is the Commutability? Why Are There no Standardized Methods Across All of Forensic Science? 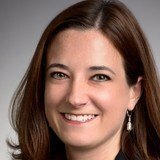 Abstract: State Crime Laboratories — Open or Closed to Criminal Defense Attorneys? CHAL 13 Abstract: State of forensic science in America today: Is it scientific at all? Is there a path forward? CHAL 26 Abstract: Burning the Accused at the Stake? Is arson/explosive investigations scientific or modern day witchcraft? A Post-Bullcoming World: Does Justice Sotomayor’s Concurrence Undermine The Majority Opinion? Blood Toxicology and Drug DUI cases Can they be Defended? What are the penalties for a Fourth Offense DUI in PA? What are the penalties for a Third Offense DUI in PA? What happens when you are charged with refusing a breath or blood test in PA? As Fetterman continues his marijuana listening tour, what does legalization mean for DUI enforcement? Traceability… it’s for the dogs! For Pennsylvania Criminal Defense, there is only one choice. 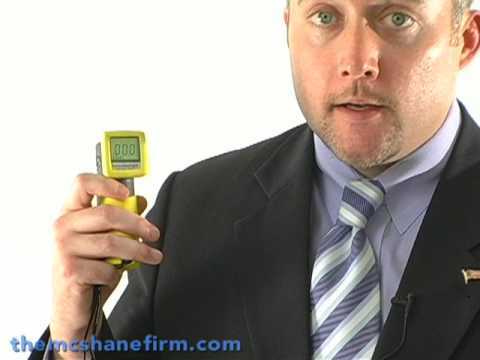 Attorney Justin McShane introduces the equipment commonly used in DUI blood testing. Attorney Justin McShane shows the equipment that is used in DUI and drug identification blood testing using Liquid Chormatography. Charged with a DUI? There is Hope. Does your attorney really understand the Gas Chromatograph and the interpretation of its data? Has an Innocent Man Been in Jail for 35 Years? What would you do if you were exonerated? James Hugney, Sr.
Pennsylvania DUI Lawyer Justin McShane is interviewed by Radio WLBR about Soberity Checkpoints. Forensic Science and DUi expert attorney Justin J. McShane lectures on the Confrontation Clause. Pennsylvania DUI attorney Justin J. McShane receives a special proclamation from the TCDLA for his exceptional work in the field of DUI defense.